-- follow us on Facebook -- Become a Fan ! Summer is here - time to think about your Fall Vacation. 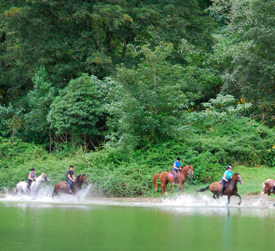 Sept/Oct/Nov can be some of the best months for equestrian travel. The weather is perfect for riding, there are no crowds left and availability is still good ! Do not miss out on a vacation of a lifetime ! Check out our Special Offers and save !